Watched La Religieuse and while I'm not familiar with the source text, I was disappointed that it manages to shoehorn in both of the most tired ways to depict a nunnery in fiction: either as an oppressive hellhole, or a den of lascivious lesbianism. I was also dismayed at how amateurishly choppy and poorly matched the editing was, made all the more glaring since, in contrast to most of Rivette's other work, this is fairly straight forward narrative filmmaking. The movie does show that the leftist critics were right to back Rivette over his other cronies, as I can't imagine a film like this coming from anyone else at Cahiers. I haven't read the Cahiers defenses, but I can't even imagine the hoops one would have to jump through to pretend this isn't the anti-clerical film to end all anti-clerical films! Was it the new Studio Canal edition that you watched? Since La Religiuse is Rivette's most straight forward film, I wonder what his thoughts were in retrospect. Did he consider it a misstep or a success? Caught this in Italy with Anna Karina giving an introduction. It was my 2nd time seeing it...oddly enough, it gets laughs with the lesbian subtext/ending. Interestingly, Eclair did 4 of them, but Ritrovata did La religieuse. However, we can see how the captures almost look like they were taken from the same movie. And the dvd on Amazon France is coming out early October. It looks as if they used the same LUT for all five films! I'll still pick up La Religieuse (the draw of Anna Karina being too much to resist), but thanks for the recommendation of Bruckberger's film, which oddly I don't recall being aware of, despite having been awed by the Poulenc opera based on the same play (whose 1947 genesis Bruckberger apparently brought about), in the form of the 1992 Opéra de Lyon recording (conductor Kent Nagano). I haven't listened to the CD in 25 years, but it's mesmerising and unforgettable, so prompted by your tipping the film, I'd advocate the opera, for those who want sublime music alongside their respite from nun clichés. Incidentally, the Lyon recording is in the original French, but the full libretto and translation is in the CD booklet. I'm particularly intrigued by your reference to the ending, as the end of the opera is undoubtedly what people remember most about it. A link to the only review of the Canal release I've found so far. Screen caps look amazing, nothing like the trailer. The mystery deepens. It's extremely likely the screen caps aren't from the BD release. I noticed the aspect ratio looked off, but I assumed they were trying their best to show us what the blu ray looks like - because, well you know, thats what they are reviewing! So what source are those screen caps from? That's what I'll spend my money on. I suppose they are either from marketing material (which isn't always - often new) or online public pictures. They can be found here, with jarring differences in color timing that have nothing to do with what is on the BD, because these are seemingly a mixture of new captures and older stuff. The only capture on The Digital Fix that seems to be from the BD is the header one. I have access to the UK disc now and can make a bulk of random screencaps for the curious ones. the color scheme wasn't that dissimilar). Because outside the US, that’s the english title? I checked and indeed, the movie was always referred in the UK as Last Year IN Marienbad, while it was AT Marienbad in the US. It doesn't seem to be something new. Going back to La Religieuse - I saw a 35MM copy a few years ago, which looked mostly brown, with many browns. Brown tints on brown hues. Brown Brown. The trailer looks like a similar copy was used and then just painted with lots of blues - take note of the shot where Karina is in front of an altar - her skin has the same orange complexion I remember. I do prefer the look, but I fear this is not the originally intended one. Curious. Has anybody got the japanese BD on hand? Labarthe was telling us that you used a certain phrase of Renoir's as a motto during the shooting: that the director should pretend he's asleep. Yes, the three weeks I spent with Renoir filming the programmes for Cineastes de notre temps, right after shooting and finishing La Religieuse, made quite an impression on me. After a lie, all of a sudden, here was the truth. After a basically -- artificial cinema, here was the truth of the cinema. How exactly does the method you used differ from the traditional conceptions of cinema that are still dominant? Several more or less established notions are shaken up in a pretty radical way: 'the director', 'the script', 'the actor' and so on. How? Time was, in a so-called classical tradition of cinema, when the preparation of a film meant first of all finding a good story, developing it, scripting it and writing dialogue; with that done, you found actors who suited the characters and then you shot it. This is something I've done twice, with Paris nous appatient and La Religieuse, and I found the method totally unsatisfying, if only because it involves such boredom. What I have tried since - after many others, following the precedents of Rouch, Godard and so on - is to attempt to find, alone or in company (I always set out from the desire to make a film with particular actors), a generating principle which will then, as though on its own (I stress the 'as though'), develop in an autonomous manner and engender a filmic product from which, afterwards, a film destined eventually for screening to audiences can be cut, or rather 'produced'. ADAIR: And the film, La Religieuse—what does that represent for you now? RIVETTE: I haven’t been back to see it for years. It’s far from a success. It was the film where I had the greatest means at my disposal, but still not enough, which is the worst situation—so it was the hardest to make. One can get by with very little money if one’s making a contemporary film, but insofar as this was a costume film, with a script, it was nothing but problems. During the shooting, we were completely submerged in problems of decor, costumes we didn’t have . . . we had to pretend, to create an illusion. It was a very difficult shooting and moreover, I’d been turning it over in my mind for too long. Having said that, I should one day like to do a film of mise-en-sccne in costume. La Religieuse may appear to be an uncharacteristic work, but it isn’t one for me. RIVETTE: Perhaps, but that wasn’t my idea at all. It was much more ambitious. Toutes proportions gardés, it was my idea to make a film in the spirit of Mizoguchi. But it’s not Mizoguchi. 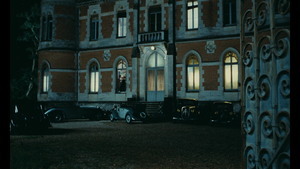 There was an attempt to make a film with extended takes or even one-shot sequences, with a flexible camera and rather stylized performances. So for me it was a deliberately theatrical film. But because we didn’t have more time and a more homogeneous cast, the theatrical side was seen by everyone as a fault. Whereas it was in fact deliberate to have such a theatrical style of acting, with a very frontal mise-en-scène in relation to the camera. But this would have required more time for rehearsals, to harmonize actors from very different professional backgrounds. Tl;dr: the experience and result were pivotal in his altering his production methods and approach, at least for a decade. Much appreciated. Very thorough quotes that answer the question definitively! The Studio Canal La Religieuse has been out for a month and still no review at DVDbeaver. Strange as they have always been Rivette aware, even hosting the Order of the Exile website. Thanks for the impressions. A precious opportunity wasted! Excuse me if I could have found the answer to this by searching through this thread, but does anybody know what's happening with the restoration of L'Amour fou? I was under the impression that it's being restored but can't remember by whom. Great news for fans of Rivette's writing: a new collection that appears to be complete was published in France. I am awaiting its arrival, but it claims to contain texts from Cahiers, as well as Gazette du Cinema and the super rare texts from Arts (I received photocopies of about a dozen of these and they were very hard to read due to how they were copied, so it will be great to have them here) and some writing that hasn't been published (I hope his roundtable discussion on cinematic Space, which is a kind of companion piece to his piece on Montage from 1969 with Narboni and Sylvie Pierre, that was recently published in the journal 1895, will also be included). Nevertheless, this a huge event for fans of Rivette. I've always found his writing fascinating and was skeptical that we would see this book because of his prior aversion to reprint his criticism, or to even view himself as a critic at all. I am very happy to be surprised here. I'll report back on its contents once I receive the book. I hope we receive an English translation of this, as it is pretty dense for a non-native French speaker, such as myself. However, it is over 400 pages without a single picture so it is a lot to go through. I'm not sure what the market would be for a translation of that magnitude.